I love the Fall...I love the cooler weather and the rich colors of the season. 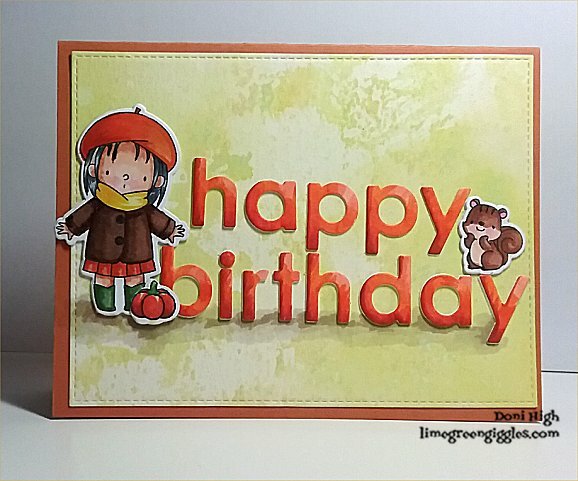 Here's a card celebrating those who have a fall birthday. and the MFT Die-namics "happy birthday". I layered the die cuts 3 deep to give this simple card some dimension. Very cute Doni! Love your design and the dimension! Thanks so much for joining us at The Sisterhood’s ‘Fall is in the Air’ challenge and please come back again soon! Your card is so cute! Thank you so much for entering our challenge at Crafty Gals Corner Challenges this week. Be sure to join us next time too! 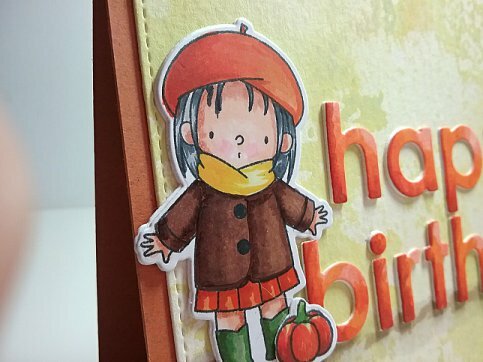 Super cute and adorable 'fall' card!! Thank you for joining our challenge at The Sisterhood!